Besides your home, one of the biggest expenses you will face is purchasing a car. Unlike a home, cars do not appreciate. 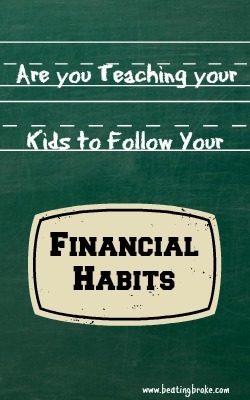 They are a depreciating asset that lasts for a finite period. Choosing the correct type of car within the price range you can afford can have long lasting consequences on your finances over the years. John (name changed) is a 21 year old college student. He was in the market for a new-to-him car, but he knew he didn’t want a car loan. He found the perfect deal on Craigslist. The car was listed for $9,000, but John knew that it had a Kelley Blue Book value of $12,000. John met the owner, went for a test drive, and paid $9,000 in cash. John was proud of his deal—until he went to transfer the title and learned the great deal he had just bought was a stolen vehicle. Now, John, the smart student who didn’t want to go in debt for a vehicle, is out $9,000. Everyone knows that dealer prices for used cars are usually at Blue Book value or higher, but the up side is that if you buy from a dealer, you don’t have to worry that the vehicle is stolen. But what should you do if you want to find a good deal and don’t want to rely on a dealership? 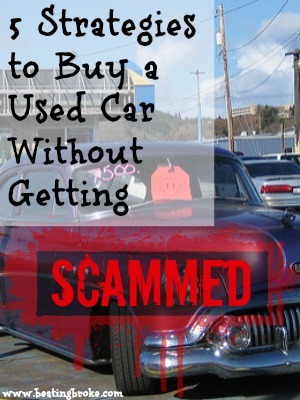 Try to buy used vehicles from family or friends. The best thing you can do is buy a used car from family or friends who are upgrading their vehicles. You know that the vehicle isn’t stolen, and you also have a good idea how well the vehicle was maintained. Be wary of a good deal that is significantly below Blue Book value. If a seller wants to sell a car for much less than it’s worth, be suspicious. In this case, you should think of the old adage, if something seems too good to be true, it probably is. Don’t trust a seller who only has his cell phone number as his means of contact. If the seller won’t give you any personal details or ways to contact him besides his cell phone, he may have something to hide. Run a CARFAX check. Running a CARFAX is a good idea no matter where you’re buying the vehicle. A CARFAX will tell you how many owners have had the car, whether it’s been in an accident, how it was maintained, among other information. Run a VIN check. Using the free service VINCheck, you can see whether or not the vehicle you’re considering buying has been stolen. Had John done this, he would have been tipped off immediately that something was not right with the vehicle he wanted to buy. As it turns out, his vehicle had been shipped down to Mexico where the VIN was altered. The vehicle was then brought back to the U.S. When John went to register the title, he discovered that the VIN he had did not exist. Buying a car from a private party can be worthwhile and save you money if you take the proper steps. If you don’t, you could find that the bargain you purchased was actually a very expensive lesson. Have you ever had trouble buying a vehicle from a private party or know someone who had trouble doing so?